I just began the Reading 2011 booklist, as I finished a short book sometime after midnight this morning. As is pretty normal for us, we were up into the small hours this morning, talking, reading and playing boardgames. We weren’t ignoring its being the secular New Year’s Eve – we forgot alll about it! Anyhow, I’ll try to be efficient and write it up immediately. The theme for January on NaBloPoMo, which I’m considering trying again to get me back to regular blogging, is Friends, and that’s really what this sweet book is all about. 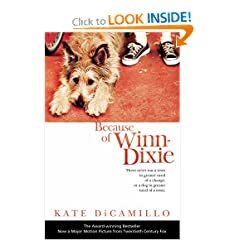 India Opal, the first-person protagonist, is the lonely little new girl in town, who rescues a stray dog (the eponymous Winn-Dixie) about to be carted off to the pound, and then with his help makes friends with several more long-standing members of the community who also need to make new connections. It feels weird, when my baby is only six weeks old, and not even paying attention when we read board books to her yet, but I’m already thinking about this and other children’s books in terms of when and how they’ll be suitable for her. I suspect it’ll be about seven years till she’s ready for this one, and there’ll be some cultural stuff we’ll have to explain, since we’re neither in the US nor Christian (India Opal’s father is a Baptist preacher, and while that comes up remarkably little, there are inevitably some references), but it’s a well-written nice story, that doesn’t shy too far away from some hard issues (abandonment and alcoholism, to mention two). So for now, a couple more books. I just finished Agnes Grey, and I’d like to write about that, but if I don’t catch up with the list in order I’m afraid some of the entries upon it will remain forever undescribed, and that would be terrible, of course! This is a beautifully (and amusingly) illustrated modern Jewish fable. Do not let the illustrations make it seem like it should be for young children, as I suspect it would take adolescents (or their older friends) to get all of the subtle references. I haven’t read the other three books in this series, but certainly wouldn’t object to doing so if I happened to find them. 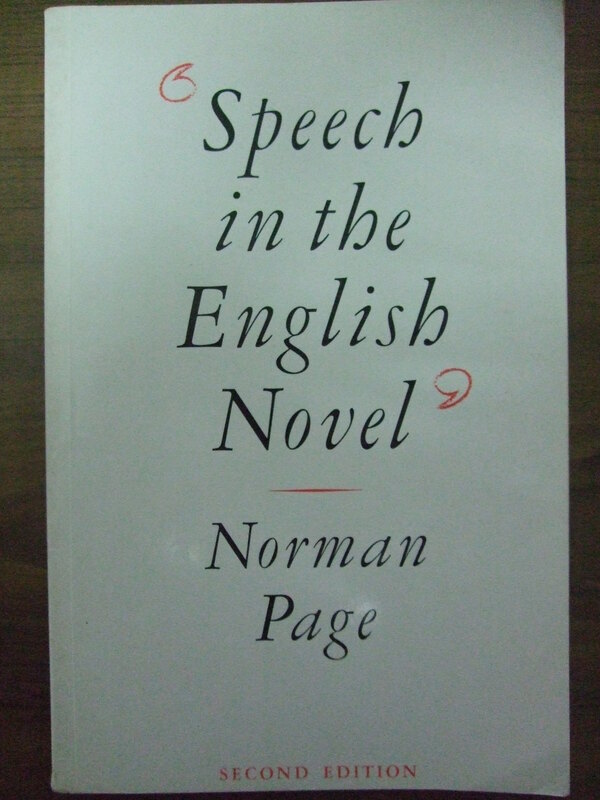 At the centre of this book is Tom Natsworthy, a young apprentice on the Traction City of London who by chance gets caught up in the personal disputes of Hester, Katherine, and the latter’s father Valentine, London’s hero, and must flee for his life. Tom lives in a world where people are expendable; villages, towns and cities must destroy each other or be destroyed for their resources; and where the very idea of actually settling in one place is taboo. It’s a complicated world, but a well thought out one, and an intriguing set of tales. It’s been quite awhile, and the main thing I remember about listening to this book is the regular surprise at what was going to happen next. Certainly the romances did not go as expected. Which is not to say that the story is not memorable – just that it’s fairly complex, and keeps the reader guessing. Mr Hogarth has brought up his two nieces, and educated them in a way generally considered suitable for boys who will have to make their own way in life, rather than for girls. On his death they discover he means them to do just that, leaving all of his money and property to a hitherto unknown son, who in turn would have preferred some contact with his father in life. After thinking through the opportunities both young women make their way to Australia, and the new society there, and slowly build themselves decent lives. Now I specifically read this at Pesach, (which shows just how far behind I am with this list, and why I amn’t recalling every detail) because I brought it as a gift for the family (good friends) I spent the first days with, and the three-year-old boy had me (and everyone else) read it to him countless times. [Note that I haven’t included on the list all the other kids’ books I read to them, but we went through this one enough for it to count, I think!] He was in fits of laughter every single time (the older kids liked it, but not as much as he did). I had great fun doing voices, and his exuberance and the book itself were a perfect match. It’s just good, and I highly recommend it for reading to young children (which I love doing).